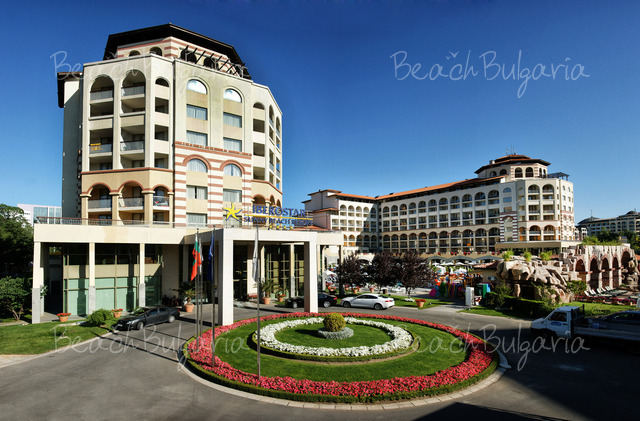 Iberostar complex is situated in the heart of Sunny Beach resort, 150 m from the beach. 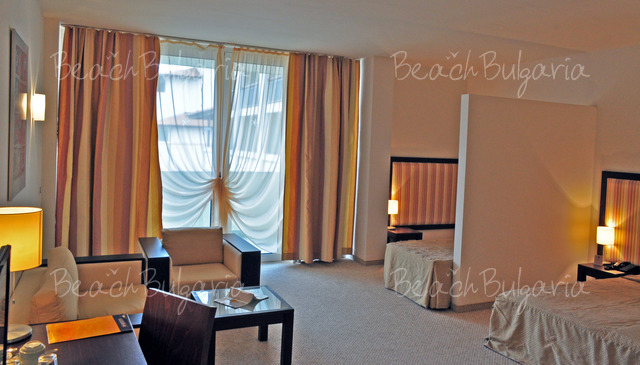 The hotel features 630 fully equipped rooms – double rooms and apartments. 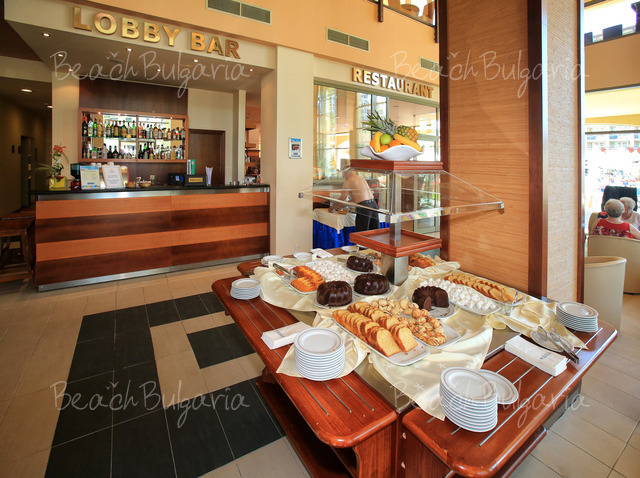 The hotel offers 2 large restaurants with local and international, theme evenings, buffets, live cooking, All Inclusive basis. 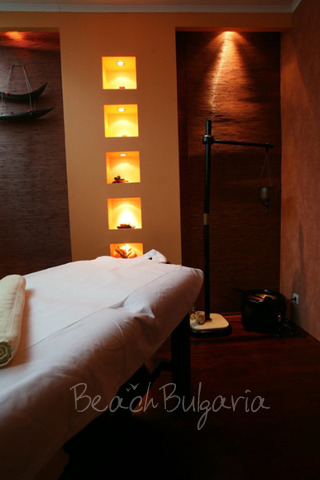 The hotel offers indoor swimming pool with Jacuzzi, fitness, massages, spa procedures, Finnish and aroma saunas, steam bath, tangentor, baths, showers, beauty saloon, solarium. Varied entertainment programme during the day and at night, evening shows and live music. Children entertainment programme and children club. Internet room. Billiards, table tennis, tennis, aerobics, shooting, miniature golf, voleyball playground, waterslide for children, darts, water polo, and gymnastics. * All prices are in EUR, per night, per room, all inclusive. 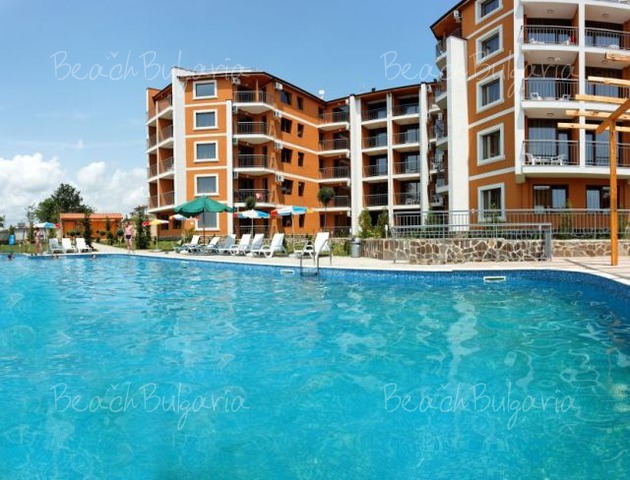 Guests of the hotel can use swimming pool, sunbed and sunshade for free. * Maximum capacity: Double room - 3 adults or 2 adults + 1 child; Double large room: 4 adults + 1 child or 4 adlults; Studio - 2 adults + 2 children or 3 adults. * Cancellations can be made free of charge providing details of this are received at least 14 days prior to check-in time on the day of arrival and 21 days during 30 June - 27 August 2019 - cancellations made after this period will incur a fee equivalent to the cost of two night's accommodation. Still the best hotel I've had the pleasure to stay in for my annual Bulgarian holiday. 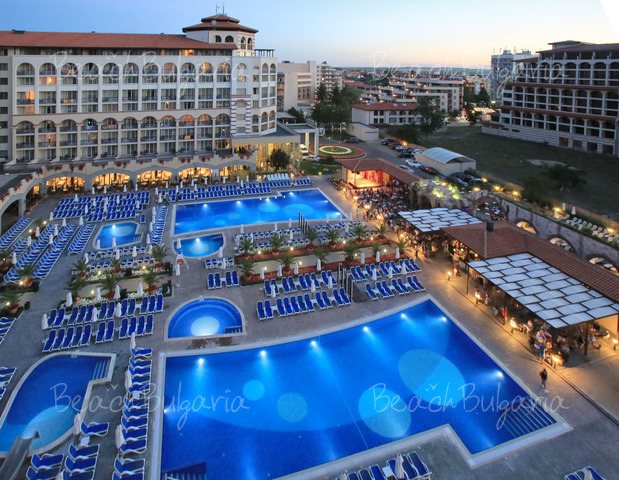 Once again stayed at the Iberostar Sunny Beach Resort Hotel. Standards still excellent, although I noticed a relaxation in the dinning room for evening meal. Men were being allowed to wear short trousers, in past always had to wear long ones. Food was once again excellent ( put 9lbs on )wide variety at every meal, may be why we saw a whole family of Russians ( about 10 ) constantly filling grannies bags with whatever they couldn't fit on a plate. My one negative comment about hotel is price of drinks compared to immediate area. Cocktail of the day was 8 lev whereas in the bars immediately outside the hotel you'd get 2 for this price. Beer was 5 lev , I was paying between 1 & 2 lev max. Bottle of wine in dinning room 18 lev, lovely bottle of Kadarka in supermarket outside hotel was 2.90 lev. Maid service was very good with our room cleaned every morning immediately we went to breakfast. Lovely arrangement of towels again in shape of swans,flowers etc. Cleaners work throughout the night keeping everything shipshape. Pools were checked every couple of hours for pollutents and we never had a problem getting a sunbed . Towels provided free, although a deposit is required. First 6 towels out every morning on sunbeds had union jacks on them so can't call the german's here. Very cosmopolitan hotel, Brit's, Irish, German, Russian, Romanian, Dutch, even a group of Aussies although I would say the vast majority of guests were over 30 Animation team worked hard all day and night looking after mini club, maxi club , adult things like shooting,table tennis boules and nightly shows. All in all a very good hotel complimented by its beach location yet only yards from the resort centre ( no noise as windows are double glazed ). found the hotel very clean, meals excellent food, cleaner excellent in everyday cleaning it, changing towels & linen, would recommend this hotel, hope to go back next year with family, it is a family hotel, we were halfboard, found the drink at hotel a bit overpriced, but they were just starting to do full inclusive when were there, certainly an ideal place to go and near beach and central to everything. Please, post a comment on Iberostar Hotel.